The site of the library has moved over time. Can anyone put dates to this? 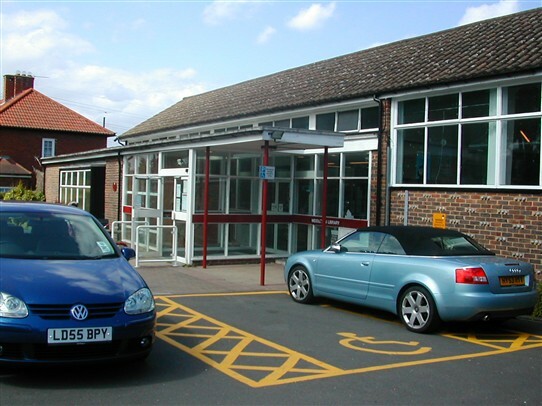 Many residents have used and appreciated the facilities over time though in the early days some new residents were unsure as to their rights of access. The building Barry Hackett refers to, the wooden library, was there at least 70 years ago. I remember my sisters taking me there. You had to be very quiet and the pictures and colours of the books in the children's section fascinated me. You had to join but it was very cheap. I had never seen so many books even though we did have books at home. I still use a library now though not as often.Wonderful institutions. About 70 years ago the library was a wooden hut which was at the end of Winchcombe Road opposite the Tudor, which was a paper shop/post office. To join the library you had to get a blue card from school and get it signed by your parents. You were allowed one fiction and two non-fiction and as a desperately keen reader i always finished the books long before I was allowed to exchange them. The shed doubled up as a Welfare place where mothers got their children weighed and they could collect their dried milk, cod liver oil and orange juice. I loved that shed 'cause I loved all the books. I believe the Middleton Circle library opened in 1961 when I was in my early teens. Prior to that my Mum and I were members of Mitcham Library which involved a journey on the no.80 or 88 bus. I waited for the new library to open with much excitement as I would be able to pop round from our house in Sherborne Crescent as often as I liked! It all seemed ultra modern, with big sliding doors between the children's library and the adults', and a reference library at the back with picture windows and red chairs. As time went on, I became a library helper and was allowed to check books in and out and do the other routine jobs which the library assistants did, which made me feel very important and I used to willingly give up my Saturdays to help. I talk to people about my first experience of a library as a pre 11 year old in Carshalton, born in 1942 and left Buckhurst Avenue to live in Cornwall in 1953. I remember the library as red painted corrugated iron but as most other comments here describe it as wooden I'll have to accept that was the case. I can remember the smell of the books and excitement of having my own library ticket. Wonderful memories !